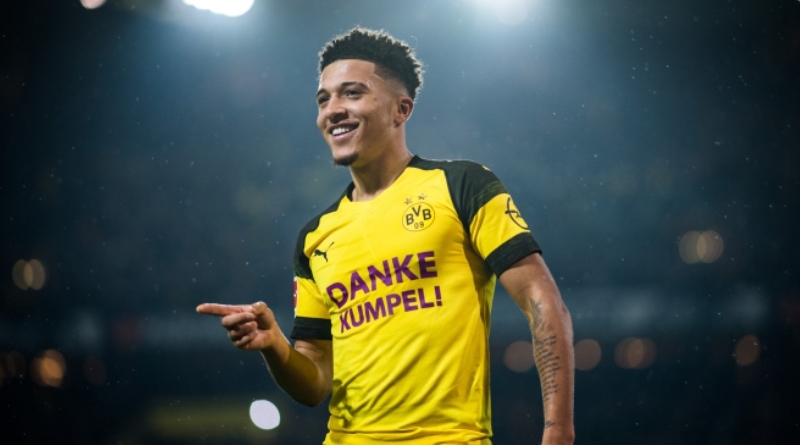 The reports in England suggested that Manchester United are considering a move for Borussia Dortmund winger Jadon Sancho. The England international joined Borussia Dortmund from Manchester City for a fee in the region of 7.84 million euros in August 2017. His contract expires in the summer of 2022. Jadon Sancho has scored 7 goals and assisted 12 more across all competitions this season. The 18-year-old has been touted as one of the brightest young prospects in England. Jadon Sancho has represented England at Under-16, Under-17 and Under-19 level, winning 36 caps and scoring 23 goals, before making his senior international debut in October 2018. As a member of England national football team, Sancho won 3 caps. Jadon Sancho will be high in demand this summer, with him having enjoyed a sublime season for Borussia Dortmund this term. His performances have seen him become the target of many European clubs including Manchester United. His tricky dribbling, fantastic shot and pace make him a nightmare for any defender to defend. Borussia Dortmund would be wise to keep the England international, but if they do let him go expect it to be for a hefty sum. Stylistically, he would be a great fit in United.